Have you suffered an Injury with Work Machinery? We can help! Machinery is a part of daily life for many workers. Employers try to explain the risks that the operation of these machines brings, but many times accidents happen because the machinery is defective or maintained in an incorrect way, or sometimes because employees are not trained properly. The effects of accidents due to defective machinery are serious and can cause permanent injury or death. If you have suffered injuries in your work with machinery or your loved one has died for the same reason, you may be eligible for compensation. Contact the lawyers for defective machinery in the office of Mr. Alejandro Padua to discuss your case in a free and confidential consultation. hospitalization, surgery, physiotherapy, and several appointments with specialist doctors. In addition to physical and medical damage, many other damages also occur including concerns about the employment guarantee and the expenses of the accident. Most of the time, if you are injured and can not work, it gives you anxiety related to money and lack of salary. For these reasons, it is important to hire an experienced defective machinery accident lawyer, such as Mr. Alejandro Padua, who can navigate the legal process so that you do not have to worry more than you need. Damages and injuries caused by defective machinery can be permanent and catastrophic. Let the machinery injury lawyers , like Mr. Alejandro Padua, help him receive the compensation he deserves. Call 713-900-6424 for your free consultation. You should not talk to any insurance company representative after your accident. The insurance representatives do not take your interest into account and try to diminish the damage you have suffered. Neither should you try to solve your accident only, because there are laws and details that only a lawyer can help you navigate properly. Finally, do not be late in contacting a defective heavy equipment lawyer. A case is stronger when it is presented close to the accident date and helps maximize your compensation. Another important issue is the confidentiality of your case. 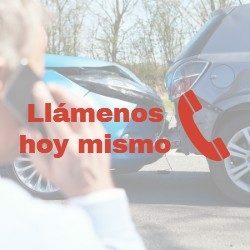 This confidentiality must be maintained during the development of your case, so we advise you not to upload any photo or news on social networks that has to do with your accident.